I hear this a lot. Whether I’m speaking on the subject of mental illness, talking with someone who is concerned about a friend, or reading an email message, I often hear from people who care deeply about others and want to help ease their suffering. But they don’t know what to do. Perhaps you’re in this very position. You care about someone who is living with emotional or psychological pain, and you wish you could offer something that would help. But you’re not sure you can make a difference. Maybe you live with the misconception that only trained mental health professionals are qualified to provide any kind of care. Maybe you’ve tried everything you can think of and you’re pretty sure it hasn’t made any difference. Or maybe you believe the only way to help is to solve the problem and make the person feel better for good. And since you haven’t been able to do that, you’ve decided there’s nothing you can do. The truth is, as with other complex troubles, there are many ways to help. But when it comes to mental illness, many of us respond with fear or avoidance, and this compromises our creative abilities. Once we start thinking beyond the solutions most of us are not qualified to provide, we begin to realize we can do far more than we guessed. Care for practical needs. I preach this all the time. Frankly, it’s way too easy for us to forget that people who live with mental illness (including those with serious, highly disruptive disorders) are fully human. As humans, we all have 90 percent of our needs and wants in common. So you already know how to help with most of what people need. They need food, shelter, safety, community, money, maybe medicine, and more. Begin by meeting these needs as you can. Listen. Like the rest of us humans, people with mental illness need to be heard. They need to know they matter. And talking to an attentive, caring audience can be tremendously healing. You don’t have to offer solutions or wonderful, wise advice (or any advice at all). Just listen. Draw near, not away. When people are dealing with something we don’t understand, or we’re tired of hearing about, or which makes them not-so-fun to be around, our natural tendency is to draw away and to put space between us and them. The same thing happens when we assume a person’s experience is too private or shameful to ask them about. Don’t make the mistake of reinforcing stigma and shame by pulling out of a friend’s life just when he or she needs you most. You aren’t the solution, but you can be a powerful vehicle for God’s healing grace and the hope that comes with knowing you’re not alone. Deal with your discomfort. It’s normal to feel uncomfortable, or even fearful, when confronted with something we don’t understand. It’s only natural to feel nervous around people who don’t act or think the way we expect them to. But we can question our reflexive reactions by asking ourselves whether we have true reasons for fear. If not (and most of the time, honesty will compel us to admit we are not in danger), we can choose to set aside our discomfort and focus on loving the person we’re with. Let them be the way they are. For many people, it really is difficult to grasp the idea that we can help without fixing the problem. Yet this is tremendously important. We can share in the sufferings of others, help to lighten the load, and offer the comfort of our presence without fixing anything. In most cases, our efforts to fix will ultimately fail, damage trust with the people we’re trying to help, and perhaps do further harm. Help your friends find the healing help they need, and recognize you have a different role to play: the role of a true and faithful friend who loves them as they are. Adopt a learner’s mindset. Too often, we approach people as if we have all the answers, when we may not even know what questions they’re asking. And if we haven’t walked in their shoes, we don’t know what they’re up against. The more you understand, the more you can offer a truly supportive response. So adopt a learning posture, ask questions, and keep an open mind as you learn from your friends. Research options for treatment and support. Mental health care is one of those things most people don’t know or think much about until they need it. And when you need mental health care, it’s generally not a great time to face the dizzying world of options, restrictions, and methods of access. Sometimes it’s impossible. 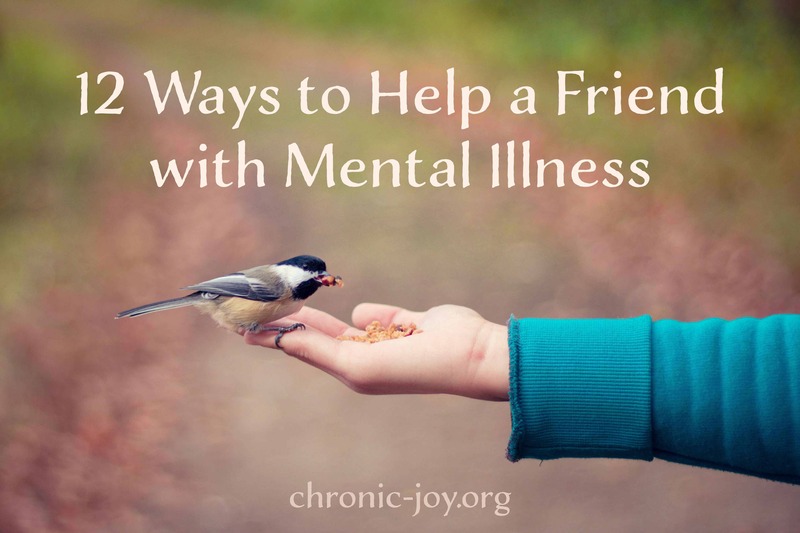 One of the most helpful things you can do is some legwork for your friends, helping them navigate the mental health care world and find out what doctors, counselors, hospitals, treatment centers, and other resources are available to them. Help them access treatment and support. Once you’ve identified some options for your friends, you can help them get started. Go to support group meetings with them. Schedule counseling appointments on their behalf. Drive them to the doctor’s office. Take them to the hospital and stay with them as long as they need you. Again, taking these steps can be extremely difficult or impossible for people who are in a mental health crisis. And when you help them access the resources they need, you send a strong message that you want to be their friend when they may feel unlovable. Get support for yourself. You may want to go to a support group on your own. If you’re helping someone else through crisis, that crisis will take its toll on you as well. And you may get some education and ideas from others who are offering support in similar situations. Help them see their resources. You are not the complete or only answer to anyone else’s needs. You should not be the only resource they can access. But mental illness is a dirty liar, and it will tell people they have no one when they have a village. It will tell them God has walked away when he is close. It will say they can’t do what feels hard. So you might need to repeatedly remind them of the people and other resources that are present in their lives. Encourage them to draw on those resources rather than try to go it alone. Draw boundaries. Love and support your friends in the context of awareness and acceptance that you are not the answer to their problems. You can be part of the solution, but you can never be the complete package of what anyone needs. And chances are, they are not the only people who need you. So take care of yourself, honor your limitations, and fulfill your other commitments. You will be a better helper, for longer, if you do. Speak the truth in love. Mental illness never tells the whole truth, and you can be a voice of truth in contradiction to its lies. When depression says a person’s life isn’t worth living, you can counter that lie with reminders of that person’s purpose and value to you and to God. When overwhelming anxiety tells people they can’t survive what scares them, you can remind them of the strength and courage they have to push through fear. When psychosis, paranoia, or delusions reframe reality, you can help people know what is and is not real. But always do so in love, gentleness, and compassion. Arguments won’t get you very far, and they won’t say “I love you” to your friends. By now, I hope you’ve noticed there’s nothing on this list that lies outside the capabilities of the average human being. If you are human, you can do these things. And there’s much more you can do–including ideas I haven’t thought of. So please share your ideas too! Let’s help each other. *First published August, 2018 at AmySimpson.com. Used with permission. 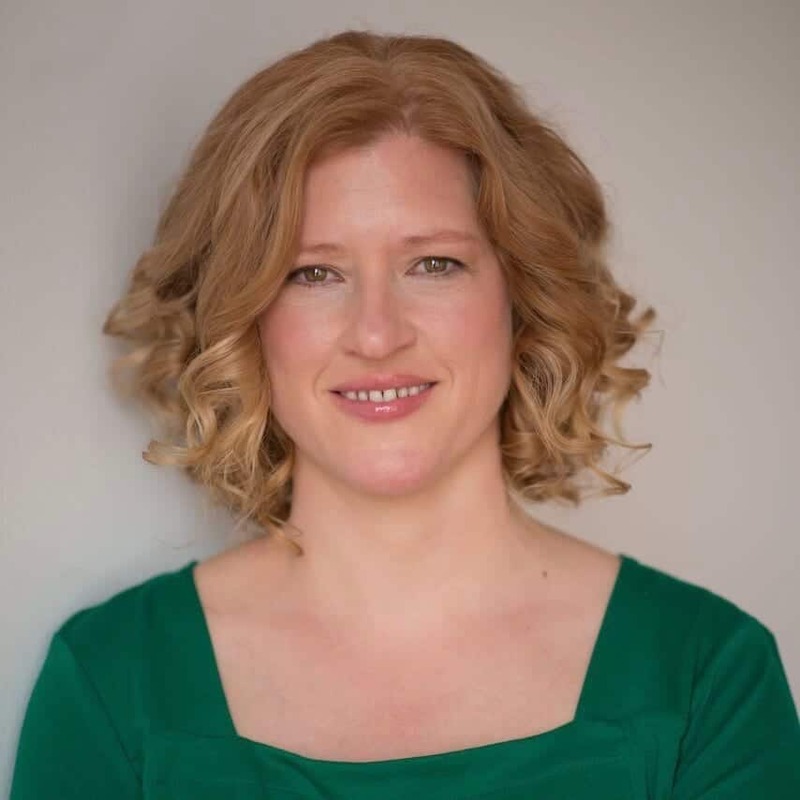 Amy Simpson is the award-winning author of Blessed Are the Unsatisfied: Finding Spiritual Freedom in an Imperfect World, Anxious: Choosing Faith in a World of Worry and Troubled Minds: Mental Illness and the Church’s Mission (both InterVarsity Press). She’s also an editor for Moody Publishing, a leadership coach, and a frequent speaker. You can find her at AmySimpson.com and on Twitter .